Is signage on latch side of door between 48” and 60” high? Are doorways a minimum of 32" wide? Are doors, handles, and levers usable with a closed fist? 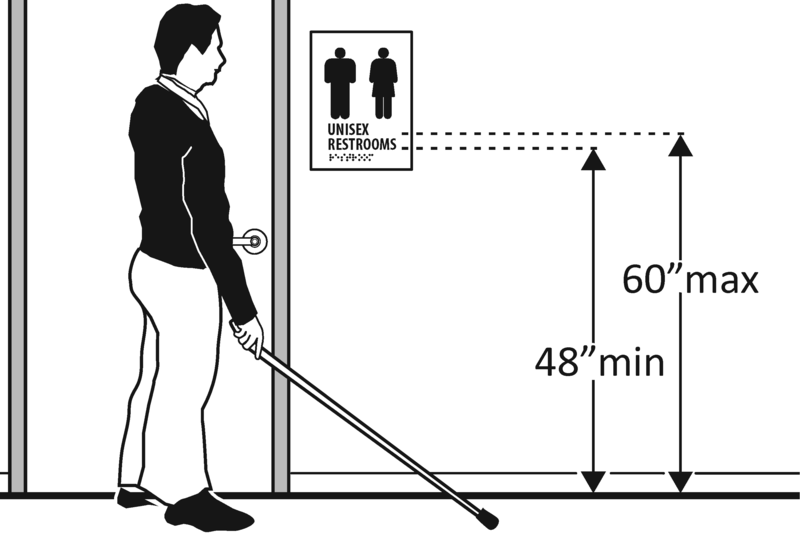 Is restroom large enough for wheelchair or walker turnaround (60" minimum)? Is toilet seat between 17-19” high? Are grab bars easily reachable behind the toilet and on side walls? Are basins and taps at least 30" with room for a wheelchair to roll under? Are soap and towel dispensers no more than 48" from the floor? Is there anything else customers should know about the restrooms?